Hayward’s SuperPump series of technologically advanced large-capacity pumps delivers cost-effective, sturdy construction-setting an industry standard for value and excellence. Built for spas and in-ground pools of all sizes and types, each unit contains a super-sized debris basket, large see-through strainer, and exclusive easy-to-service design for added convenience. 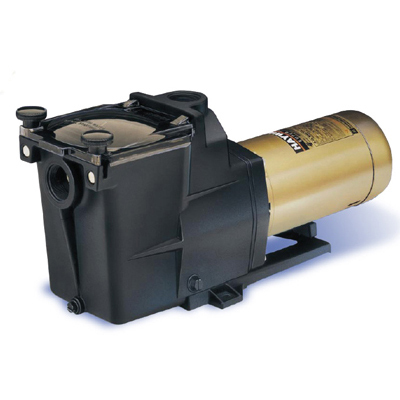 · The heavy-duty high-performance motor includes airflow ventilation for cooler, quieter operation. · See-through strainer cover allows you to see when the basket requires cleaning. · Exclusive swing-away handle makes it easy to remove the strainer cover—no tools, no clamps, and no loose parts.